He was talking about all the times he tried to create a light bulb that didn’t work. This is an interesting perspective isn’t it? But it isn’t how most people react most of the time. I remember how I often put myself down in the past when things didn’t go the way I planned. It took me years to figure out exactly what my self-judgments were all about, and more years to figure out what to do about it. Well, thankfully I succeeded, and I want to share with you all that I now know about it. Self Esteem has been a huge issue in my life, that seemed to escalate during my teenage years. After numerous retreats, programs, trainings etc. over the years it has gotten much better but still seems to cause much pain and suffering in my life. Especially the self criticism, beating myself up from past mistakes and self sabotage, especially around money. The dictionary will tell you that self-confidence is self-respect and assurance in your judgment and ability. It means you have a belief in your own capabilities so you can achieve your goals and desires. You can’t say you will never fail at something.But with good self-esteem and self-confidence it does mean you will get back up and keep going. Your self-esteem is how you feel about yourself and it affects the level of confidence you have about your life and everything you do. Even though you may think some people are naturally confident, the fact is self-confidence is learned. It is either developed and supports you or, if not, it undermines you. Your confidence in yourself is a result of what you were told, and what you observed others achieving, and then, finally, what you told yourself. If you ever evaluated yourself on your looks, talents, or intelligence and concluded you fell short, that is what formed your self-concept that you just weren’t enough! Self-esteem is closely related to the images or ideas you have about yourself (your self-image), and it is important because feelings are the fuel of creation behind your ideas and intentions. In other words, you may have a wonderful list of what you would like to have in your life. But if underneath you have self-doubt, unworthiness, or thoughts there’s something wrong with you, then you will just set yourself up for failure and defeat. This can cause you to be manipulated by others and can lead you do things that you may not be happy with, such as not pursuing in life what you’d really like to do, whether in your career or even a hobby.Low-self esteem is one of the biggest blocks to a person’s success. 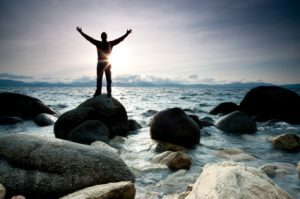 Since, there is a strong connection between self-esteem and success, it is imperative that you do everything you can to improve the quality of your thoughts for they determines your future success. And it is one of the most important traits for your children and other young people in your life. The most effective program I’ve ever created to do just that is, “Build a Winning Self-Image” and NOW I’ve added several hours of additional tools to the program, and reduced the price. You probably already know that guided visualization is one of the most powerful and effective methods for self-improvement, and so,in addition to the original program you’ll now also receive 6 additional guided visualizations for building confidence and creating empowering beliefs. Plus, I’ve also added a full hour of MindTalk audible positive affirmations with subliminal messages running below the audible ones. And they are delivered to you with both male and female voices for maximum receptivity of your subconscious mind. PS This is one program you don’t want to be without, and I want you to please share it with any young people you know. 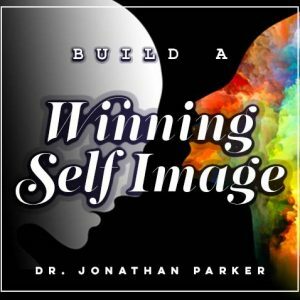 Here is the link: Build a Winning Self-Image.